Crown lengthening or crown elongation is a procedure prescribed by your general dentist to expose a region of your tooth due to fracture of tooth structure, previous deep cavity or deeply placed restoration margin. 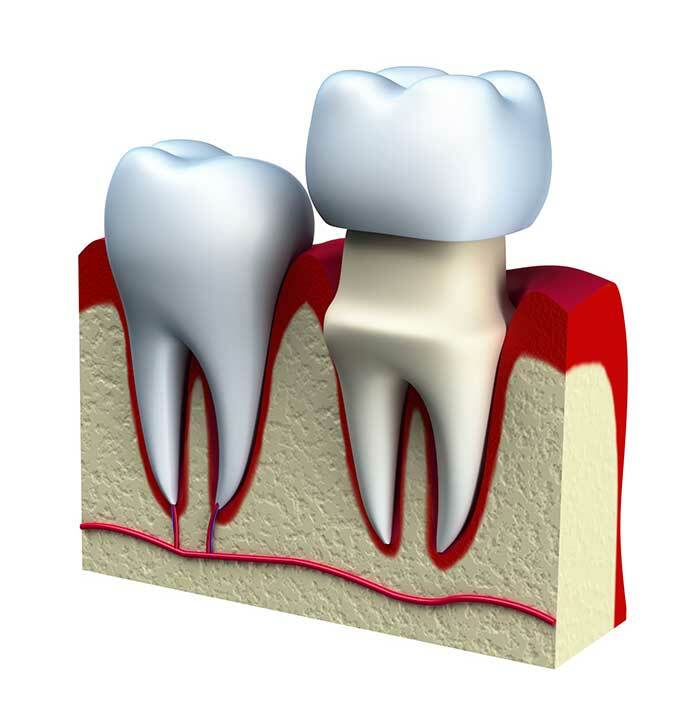 Tooth biology requires a minimal amount of undisturbed tooth structure to be above the bone level. This is where the gum attaches itself to the tooth and creates a seal. If for any reason, this intimate tooth/gum junction is breached, inflammation occurs with little to no other symptoms or aches. Unfortunately, proper biology must be re-established and maintained with your new restoration. For this reason, a small amount of gum tissue and bone may need to be trimmed. This will provide your general dentist in Palm Beach Gardens with an adequate exposed tooth surface. The result will be a quality final restoration that will not promote gum disease or tooth decay. The actual procedure usually takes less than an hour and you can go right back to work if you’d like. If you have any questions of how a crown lengthening may benefit your long-term periodontal health, come in and discuss this treatment with Dr. Fotek. He is an expert in maintaining life long gum health in Palm Beach Gardens. Esthetic crown lengthening is generally performed to improve the health of gum tissue or correct the undesired look of a “gummy smile”. A "gummy smile" is referred to as a condition where a patient will show a larger than usual amount of gum tissue when smiling. The effect is a disproportionate gum-to-tooth ratio or stubby looking teeth. This undesirable condition can be easily corrected in usually less than an hour, providing a life long smile improvement. When performing the procedure in Palm Beach Gardens, Dr. Fotek wants to establish correct gum to tooth relationship thereby exposing the previously covered tooth crown surface, enhancing not only your smile but also your self-confidence. A gummy smile can be an inherited condition or it can develop later in life. Whatever the reason may be for your undesirable smile, a consultation with Dr. Fotek will amaze you how easily the beautiful and natural looking results can be achieved with a virtually painless surgical treatment.